Grow Your Business Without Burning Out! The 7 Essential Questions to Ask Yourself When You’re Ready to Eliminate Stress, Streamline Your Systems, Build the RIGHT Support Team, Create More Time for YOU, and Increase Profit With Less Effort! PLUS, You’ll Receive Real Life Case Studies of Women Just Like You Who Have Achieved the Edge in Business! Finally, you’re doing WAY more than your fair share in the business and you haven’t yet learned how to step away from work to rest and rejuvenate. Joy helps her clients move past these business growing pains (and more) to achieve greater results. “Working with Joy helped bring the clarity that I had been seeking for years. She helped me lay the groundwork for moving my six-figure consulting firm towards a seven figure business. Joy totally transformed my way of thinking. Imagine… finally discovering someone who truly cares about your success and believes in you. Someone who has the knowledge and a step-by-step approach to help you get clear, confident and focused on your vision as a woman entrepreneur and business owner. Joy takes a hands-on approach in her carefully designed small groups for women entrepreneurs and business owners. Joy believes in a “hybrid” approach when it comes to supporting women in small groups. She combines both one-on-one personal, private coaching with live retreat gatherings to help you get the maximum results in your business. With over 15 years of speaking from the stage, Joy entertains, teaches and captures your audience’s attention. 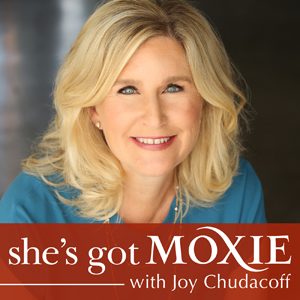 Joy is available for your next conference, leadership event or gathering where women are looking for motivation in their lives and businesses.